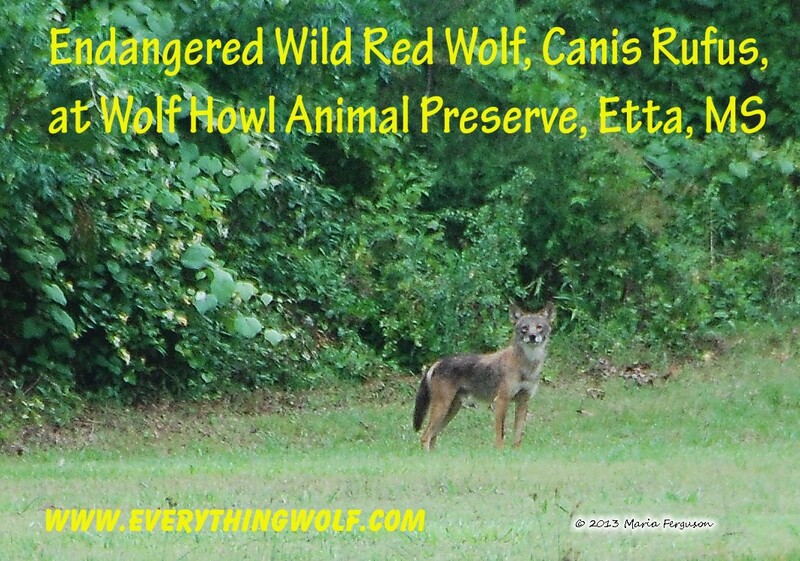 The Endangered Red Wolf Plush is part of the Bio-Diversity is US Endangered Species Collection. As an exclusive Wolf Howl Animal Preserve offer, we will be including with the purchase of this Red Wolf Plush a 4"x6" glossy photo of a real live Wild Red Wolf taken by our Founder, Maria Ferguson, at the Preserve in the summer of 2013. This Red Wolf Plush comes with information on the endangered Red Wolf, Canis Rufus. You will also receive information on how to access a free fun and educational App. This Red Wolf plush is highly detailed and made using the finest of fabrics.